This family friendly course is designed to maximize fun, team competitions with muddy ponds, walls, and plenty of mud, all while bringing awareness to eradicating malnourishment around the world. 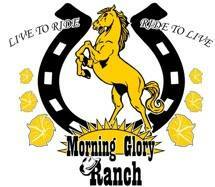 We don't know of any upcoming events for Morning Glory Ranch. You can check out our list of past events and reviews below, or if you know of an upcoming race, add it to our calendar!